One of the strangest parts of moving from Dallas, TX to Seattle, WA has been the experience of being a first-time visitor in church. For various reasons, I have not been in this position since seminary. And it was different even during seminary, because I was often visiting a church as an assignment or as part of my seminary training. The point of this post is to share a bit of my experience from the past two weeks in order to help church leaders view their churches through the eyes of a first-time visitor. The first thing I would say about visiting a church for the first time is that it is hard! I like routines and the comfort of feeling like I know what is going on. None of that really applies when you are a first-time visitor at a church. Neither church was United Methodist. We visited these two churches in order to get a sense of the kinds of churches that my soon to be students at Seattle Pacific University will likely be attending and to get a feel for the types of churches that are generally in the area where we live. It was interesting to visit non-United Methodist Churches. 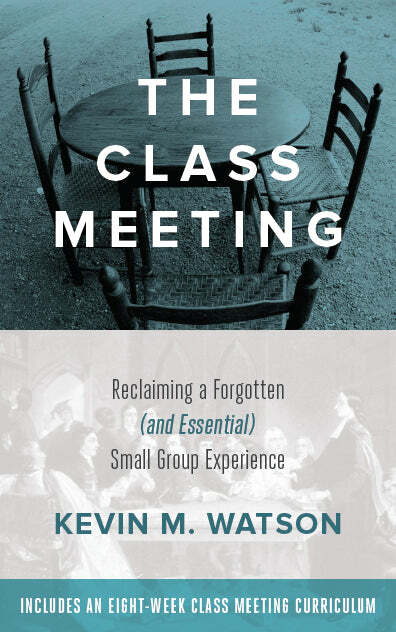 A clear emphasis of both churches was on the importance of small groups, though neither of them appeared to have something I would consider a close analogy to a 21st century class meeting. 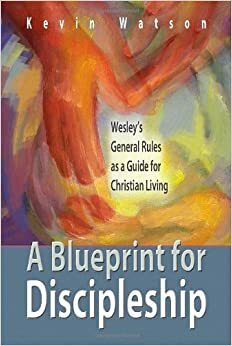 Nevertheless, it was a humbling reminder than many parts of the Body of Christ are currently doing a better job of practicing Wesleyan communal Christian formation than United Methodism. In fact, the sermon at one of the two churches was on the importance of connecting and small groups were clearly highlighted both before and after the sermon as a vitally important part of the life of the particular community of faith. Without going too far, this church emphasized the importance of connecting through small groups, and providing an accessible and clear way to become involved in small groups as strongly as they could have. My impression was that both churches that we visited were sincerely trying to be hospitable and welcoming to new visitors. I did not sense that either church was a closed group that would just assume that my family was not there. On the contrary, I think that both churches had successfully cultivated a culture where people wanted new life and would have been genuinely pleased if my family were to join the church. At one of the churches, as soon as someone realized we were new to the church, we were given a small gift bag with a book, pen, water, and breath mints (so much you could over-read into that!) in it. We were a bit early to one church, and when we arrived in the Sunday School area no one was there. To be fair, someone showed up within thirty seconds of our arrival. But, it was a bit disconcerting to show up where we were told to take our daughter and find an empty room. Related to this, both churches gave us something when we entered the sanctuary. However, it was not an order of worship. I don’t really care if a church gives you a detailed scripting of what is going to happen. However, I do think when churches give you no sense of the layout of the worship service, it is all the more important to give verbal clues to the congregation of what is happening, what is next, etc. At one of the churches, the worship leader ended a song and then said, “Ok, we are going to take a break now. Make sure you say hi to someone” and then walked off stage. My wife and I had no idea what was happening, because we have never been to a church before where there is a break in the middle of the service. It would have helped if he had said a bit more, with new folks in mind. One more positive: Both churches had thoughtful set ups for children. People knew where our kids could go (better still, at one church the greeter took us there and introduced us to the adults who would be with our kids). There was also a good sign-in system that gave us confidence that our kids would not be handed off to someone else at the end of the worship service. These are things I must admit I did not think about before having children. One of the reasons I mention this, then, is in case some of you who read this do not have children. It might be helpful to ask some parents of young children what would be important to them if they were to visit a new church, and if they attend your church they would be great people to ask how your church could be more welcoming to families with young children. A final thought: I realized that a good website is essential for a church that wants to have new visitors. This is probably obvious to most of you who are reading this. However, even in writing this post I am realizing that we would probably not have even visited either church if the website had not made us comfortable that there would be a place for James that we would be comfortable with, etc. If you are in an urban setting and you don’t get many visitors, you may want to think about the quality of your website. If your website looks unprofessional, many people will not even visit the church. Another way of thinking about this is that in 2011 there are no true first-time visitors who come into your church. Rather, your first-time visitor is the person who visits your website and decides whether they want to come “back” by coming to an actual worship service. There you have it, a few thoughts from a few weeks of being a genuine outside in two different churches. What would you add to what I’ve said? What do you think is important for the church to keep in mind when it thinks about new visitors? Hi Kevin. Thank you for sharing your thoughts on being a “first time visitor.” I am one of those pastors that does not introduce myself simply because it is a small (averaging 55 in worship) service and everybody knows everybody… right? However, we have first time visitors every week, and if I don’t make a point to greet them myself before the worship service begins… then I should make a point to introduce myself early in the service. It is very important to me that all people experience the peace of Christ in a warm and welcoming atmosphere, that they feel included and leave worship wanting more… I agree with you on the bulletin order of service comment, and we also include prayer concerns and ministry opportunities. That is very interesting information regarding the mentioning of the length of the service… even though I have been there and done that… I have forgotten that young families with small children do have certain schedules. Thanks for the reminder! I am always eager to hear from you and to take what you have experienced and utilize it for the good of the congregation and for the glory of God. Thank you and God Bless. I take it you and the family are getting settled? Love it!! What an opportunity that so few of us pastors get. I wish we could somehow get honest feedback from each and every visitor and especially this who never return! Just a note in merging two of your insights…photos of staff and volunteers on the website can also be helpful. Since that us where the true first time visit often occurs seeing a picture of the pastor, the nursery provider, and maybe even the nursery itself can be helpful. While you want to be careful not overdo it on the pics a group photo if the greeters, a group photo is the childrens Sunday school teachers etc. might be helpful so that when the “return” visit in person happens there is a familiar face. Thank you for your insight Kevin!! Thanks so much for your thoughts! I picked up on exactly these two points for worship leaders when we visited Munger Place last month. Great stuff! Generally, a visitor is someone who stops by unannounced, interrupts my normal comfortable routine and forces me to alter my schedule. Think of a solicitor who interrupts a nap or another enjoyable activity. On the other hand, a guest is someone we prepare for ahead of time. We make our home and ourselves presentable and do everything in our power to make them comfortable. It is something to think about, especially as you find a new church home and move from “outsider” to “insider”. My thoughts and prayers are with you and your family during this time of transition! Kevin, I am praying that the Lord lead you and the family where he can use you to bless the congregation in the ways that you did at Munger! Please be sure to let us know how we can continue to improve as you get ideas from being a guest in more churches. Excellent reflection on what it is like to come into a new church — what makes it both a pleasant experience and what could make it better. I hope lots of pastors and laity leadership read it. Thanks for the many thoughtful responses! I appreciate it. Gregg, I agree with you on the difference between the use of visitor and guest. At Munger we tried to avoid using the word visitor. I have been thinking why I consistently used the word visitor and there are probably many unconscious reasons for it. I think at the end of the day, though, it is pretty simple. I felt like a visitor, not someone who had been invited. I think the distinction is helpful for the church to aware of. However, my experience has made me more aware of the experience someone has who was not invited by a member of the church and just shows up (unannounced). You inevitably feel out of place and a bit uncomfortable. The first thing this means is that it is probably ideal to have people in the church proactively inviting other people to come as their guests. I think this would make a huge difference. However, I also think churches should hope that “visitors” (people who have no personal connections to anyone in the church) will come and the church should try to make those folks feel like “guests” as quickly as possible. I suspect that there is a much higher rate of return, though, for first-time guests (people who come because they were invited by someone connected to the church) than first-time visitors (people with no prior connections). Thoughts? Our pastor also does an introduction and welcome every week and we both greet folks after the service. when i do the announcements and welcome, i make it a point to invite new folks to visit with us afterwards in the lobby. i’m totally in agreement w/ you on the website. before people even decide to visit, they’ll stop by your site first. i’m re-doing ours now because it’s hard to navigate and folks couldn’t find simple things like worship times. Sophia, I agree completely with your last comment. The most impressive thing that happened at either place was when the greeter at one church realized we were first-timers and took it upon herself to find someone to replace her as a greeter and then didn’t just tell us where to go, but showed us around. That made a great first impression and is something that indicates the culture of the congregation. Something that I think about is accessibility. I’m physically disabled and being able to get to and from the places I need to be – without assistance – is very important to me. I’m not against being helped, but if I can do something on my own I very well want to. I’ve yet to understand why this is wrong or assumed to be prideful. There are some poorly accessible churches, especially ones with older facilities. Yes, they’re grandfathered in perhaps due to their age, but do we really want a physically disabled person to not attend and potentially have hard feelings toward our congregation – be it right or wrong to do so – just because something was jerry-rigged simply to be compliant and not to be genuinely helpful to that need? I realize, also, that there are variables to consider when making an older facility accessible. If the plan is to build a new facility in a year or two, do we really want to make the investment to make the current facility accessible when we won’t be using it so soon?, etc. Things like this seem to always come down to the money rather than the souls. Sad. So if any of you are in the College Station area.. or you know of people in the College Station Texas area… we warmly welcome and invite you to worship with us at Millican UMC which is approximately 5 miles south of College Station, TX. The spirit of the saints made the move too… and no-one leaves worship without being transformed! Common sense, common courtesy, kindness & good communication are invaluable. Don’t forget the universal language of a SMILE. Also, we tend to find it overwhelming when we visit a new church and are bombarded with donuts, coffee, group info, new names and places, when we are really just trying to get the feel of the church service, not the complete social calendar. Ease up, I say, and let new people find their own pace while still warmly greeting them.